This is the Alexandra Link taken from below the bridge. Was walking past it earlier today and took a photo of it. 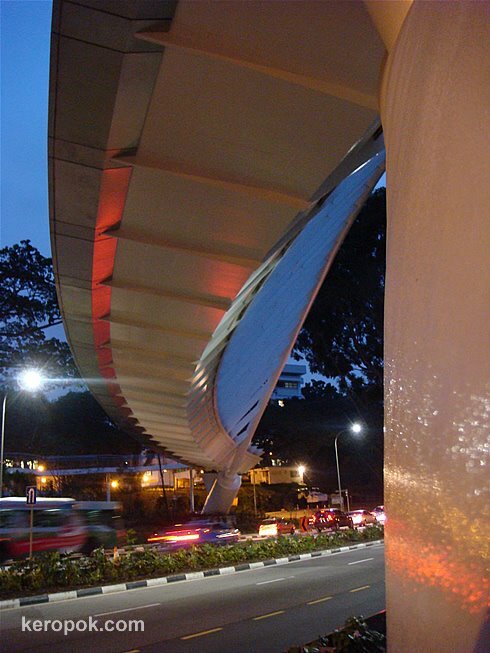 Alexandra Link is a 50 metre bridge over Alexandra Road that is part of the elevated walkway towards Telok Blangah Hill Park. It's all part of a 9km long Southern Ridges, a series of nature trails and bridges that will link Mount Faber, Telok Blangah Hill and Kent Ridge. Looks like a pretty cool design.